Between 4 and 5 million visitors from 80 countries visit this town each year. 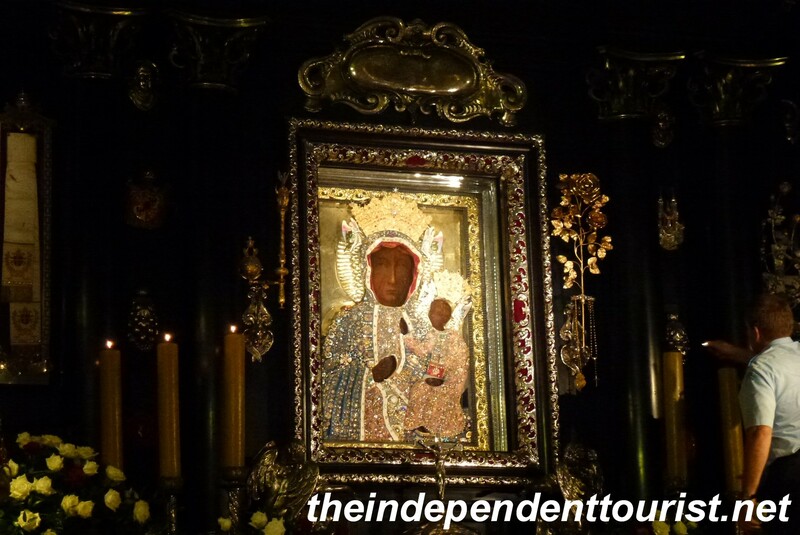 They come to visit the Monastery of Jasna Góra, and specifically to see the 14th century Black Madonna painting which according to legend was painted by St. Luke the Evangelist (author of the Gospel of Luke in the New Testament). It is credited with many miracles, such as the story of a looter who in 1430 attacked the painting with his sword two times but fell in pain and died before he could strike it a third time (the marks from his attack are visible). Entrance to the Jasna Góra Monastery, on the south side of the complex. The Black Madonna painting. It’s apparently black from centuries of soot. No one really knows for sure of its origin, but it is credited with saving the town during the Swedish aggression in the 1600’s. This shrine is one of the great pilgrimage spots in the world, and famous visitors have included Pope John Paul II and Pope Benedict XVI. Many pilgrims arrive on foot after journeys of as long as 20 days. The painting is in the 14th century Chapel of Our Lady and may be viewed during the day except from 12:00 – 1:30 pm and after 9:20 pm when it is covered. The 14th century Chapel of Our Lady at Jasna Góra Monastery (the Black Madonna is at the lower center of the image, behind the gate). 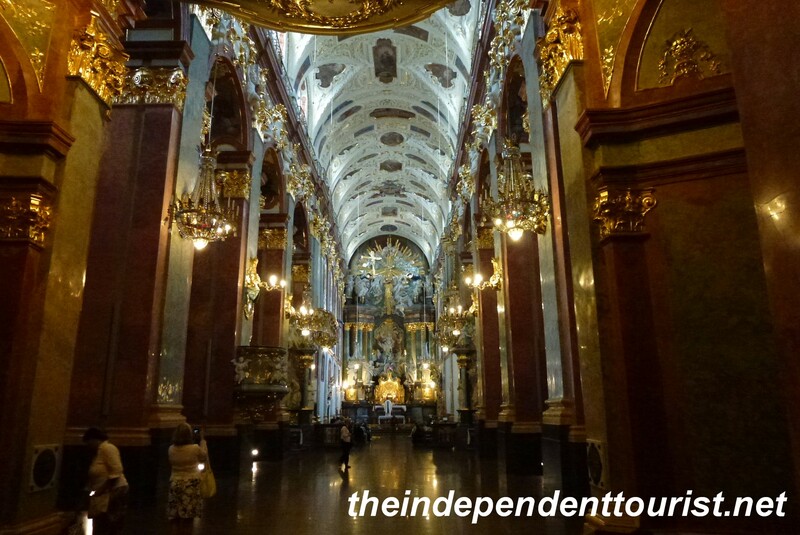 In addition to the Chapel of Our Lady, be sure to visit the Basilica which dates from the 17th century and has many Baroque features—it reminded me of monasteries in Germany and Austria (such as Melk Abbey). The Baroque Basilica at the Jasna Góra Monastery. 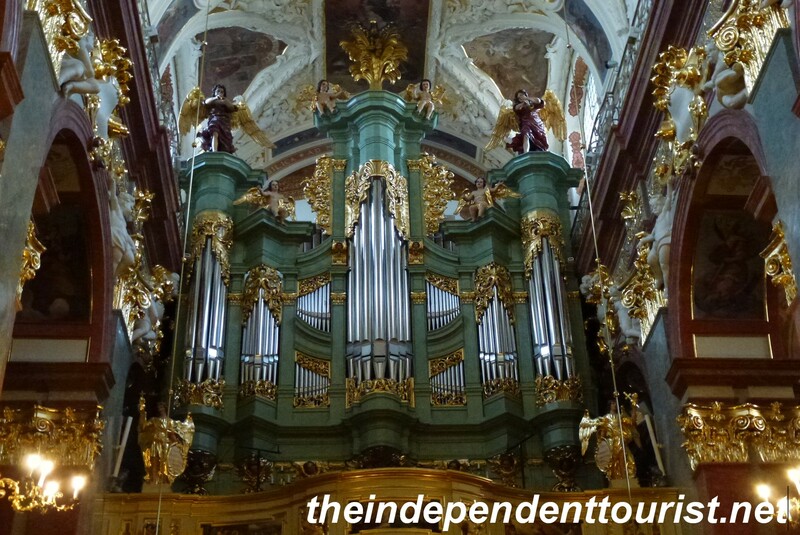 The organ pipes in the Basilica of Jasna Góra. 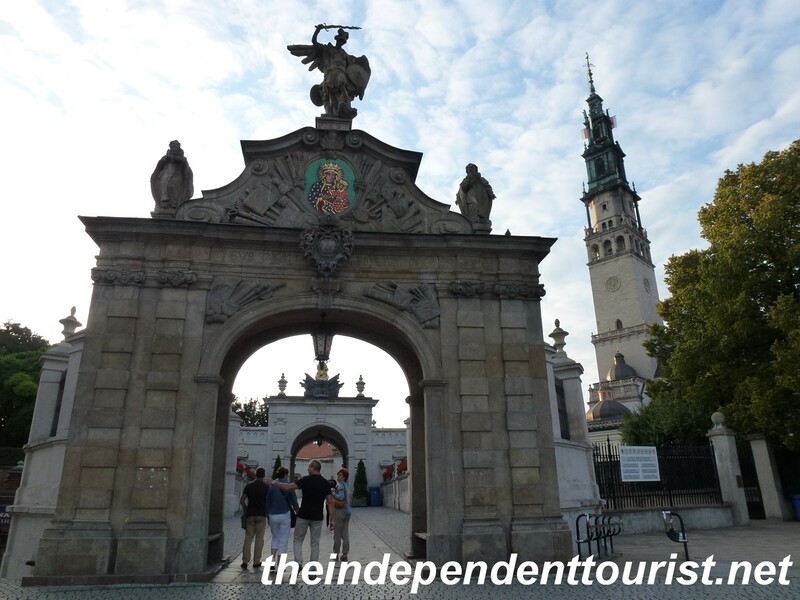 Other attractions include several museums, a treasury and the Bell Tower, Poland’s tallest historic church tower at 106 meters (348 feet), which can be climbed. 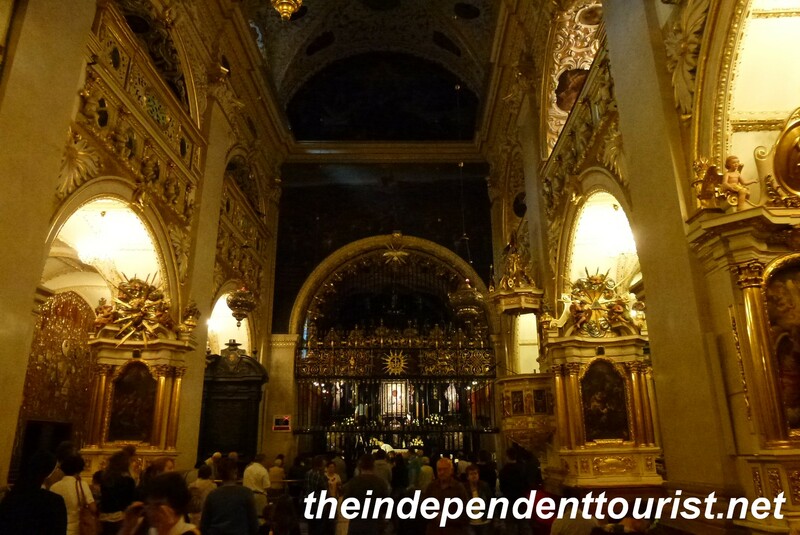 The asymmetrical architecture inside the Monastery, a bit like Wawel Cathedral in Kraków. Częstochowa makes a great overnight stop from Toruń to Krakow. 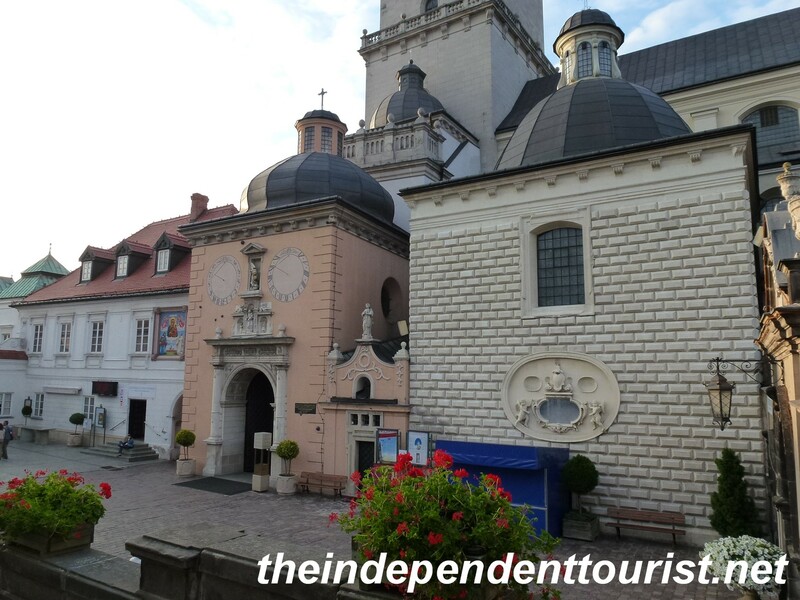 The main street (a long Polish name which is abbreviated to NMP) running directly east from the Monastery and adjacent Park Staszica has a number of good restaurants and hotels. 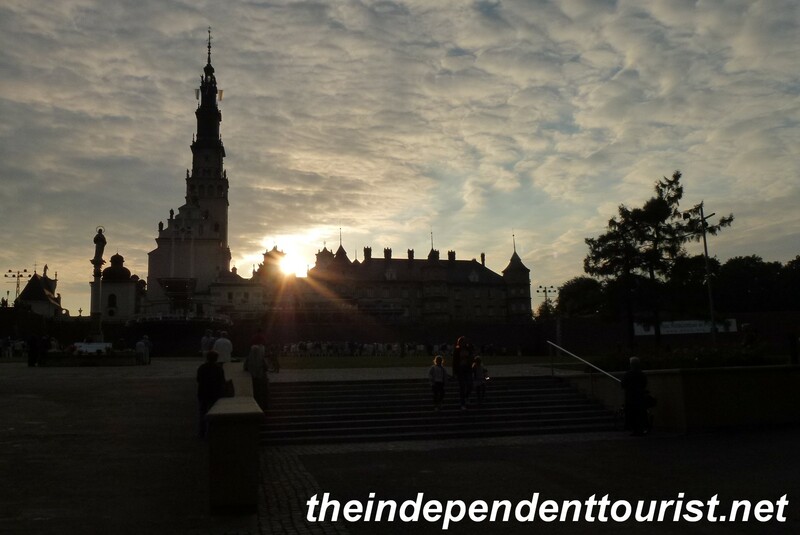 The Jasna Góra Monastery at sunset – it sits on a hill overlooking the town of Częstochowa. The Bell Tower is 106 m high. We arrived in the late afternoon and visited the Monastery at sunset, which was perfect. There was an outdoor service going on during our visit, which added to the atmosphere of the setting. Posted in Poland on July 13, 2014 by Paul Terry.